@djlonnieb: "This @DanjaMowf freestyle over the, "Are You That Somebody” instrumental was the idea that created one of the 1st & Biggest Unofficial Remixes EVER. @MikeStreetShow played it 1st on@iPower921, then they started playing it on WOWI in the 757. When we got the call that @DJEnuff was playing it on @HOT97, I couldn’t believe it. [This was before we knew each other]. After that, @DJClue put it on one of his mix tapes. 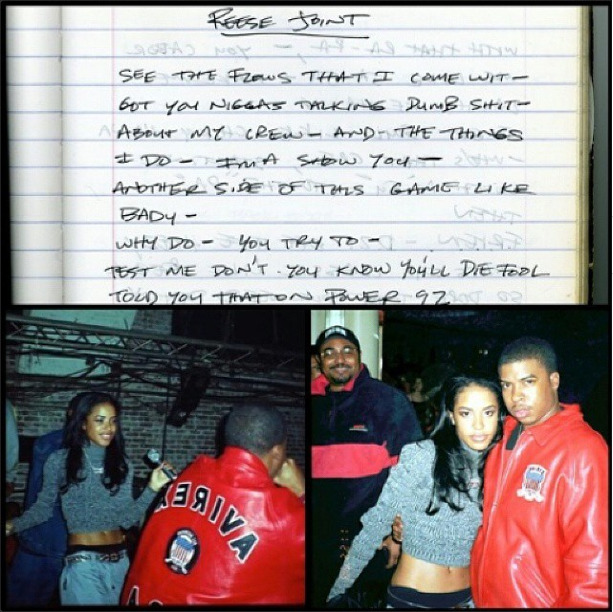 I was so hype… I told Danja & @SkiilzVA, “Man, I don’t care if we don’t make a dime off of this, it would be dope if we actually get to meet Aaliyah and possibly get a platinum plaque for the remix. #DreamsDoComeTrue One day we got a call, “Aaliyah is performing at the Tunnel tonight and since they play the remix that y’all made on @Hot97 she wants you guys here to perform it with her. My 1st time meeting her was on that stage and it was unreal to see her doing the ad-libs to my verse as we performed… Afterwards we talked for a second and took a picture. She was one of the most beautiful people that I had ever met [Inside & Out]. Not long after that we got our platinum plaques. On this day in 2001, @BigNatRadio was just starting his radio career and right before his shift started we got the news that Aaliyah was killed in a plane crash…I had to stay on the air with him to break the news and I was devastated…. I promised myself that as long as i was on that box I would keep her legacy alive…. Tune In Today at 5pm as we show love to our Angel #Aaliyah #RIPAaliyah #AreYouThatSomebody #Supafriendz #Remix #RVA #RIPJusto"